Canadian Prime Minister Justin Trudeau said on Monday that his government was holding talks with Pakistan over potentially offering asylum to Asia Bibi, a Christian woman recently freed from prison after her blasphemy conviction was overturned. “We are in discussions with the Pakistani government,” Trudeau told a foreign news agency in Paris, where he was attending a peace conference organised by French President Emmanuel Macron. “There is a delicate domestic context that we respect which is why I don’t want to say any more about that, but I will remind people Canada is a welcoming country,” he said. “Bibi has been blocked from leaving Pakistan after the overturning of her conviction prompted a wave of protests by religiopolitical groups.” She has since been flown to a “safe place” in the country as several governments have offered to grant her family asylum. Her husband has appealed in particular to Britain, Canada and the United States, claiming that Bibi’s life would be in danger as long as she lived in Pakistan. The Tehreek-i-Labbaik Pakistan (TLP) and other religiopolitical parties had launched countrywide protests after the Supreme Court acquitted Bibi, who had been on death row for the past eight years on blasphemy charges. Three days later, the government and the TLP had signed a deal to conclude the latter’s protest. One of the major concessions the government agreed to was to “initiate the legal process” to place Bibi’s name on the exit control list (ECL). The government had also assured the party that it would not oppose a review petition filed against the Supreme Court’s judgement in the Aasia Bibi blasphemy case. 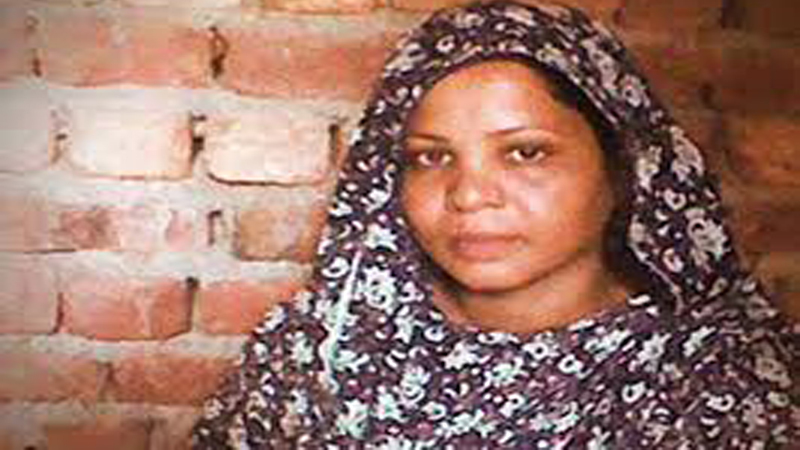 The state further promised to take appropriate legal action to redress any deaths that may have occurred during the protests against the Asia Bibi verdict and to release all people picked up in connection with the protests starting October 30. The TLP, in turn, only offered an apology “if it hurt the sentiments or inconvenienced anyone without reason”.